It’s a little known fact that no matter how big your workshop is, It’s never quite big enough. That’s why woodworkers spend a lot of time organising and making things for the workshop to make the best use of the space. From my experience, It’s a never ending process. You are always seeing new ways to save a little bit more space or improve the way you work. As time goes on you find that you accumulate more and more timber and other materials left over from projects. You don’t want to throw it out because there is nothing wrong with it and you’ll probably make use of it in future projects. So you have to find a way of storing it and being able to access it easily when you need to. I have a corner of my workshop dedicated to timber storage. and it is in desperate need of sorting out. I know where everything is, but It’s never easy to get to anything as it’s always underneath something else. I’ve been doing some research on timber storage solutions and am absolutely amazed by what some people have come up with. I’ve tried to pull it all together here so hopefully you will find some great ideas for your own timber storage. I seem to accumulate a lot of sheet materials off cuts and my current solution consists of putting the larger sheet materials at the back and smaller ones at the front. Everything else gets put in front of that. This always leads to a lot of work when I need a large off cut as everything needs to be moved. 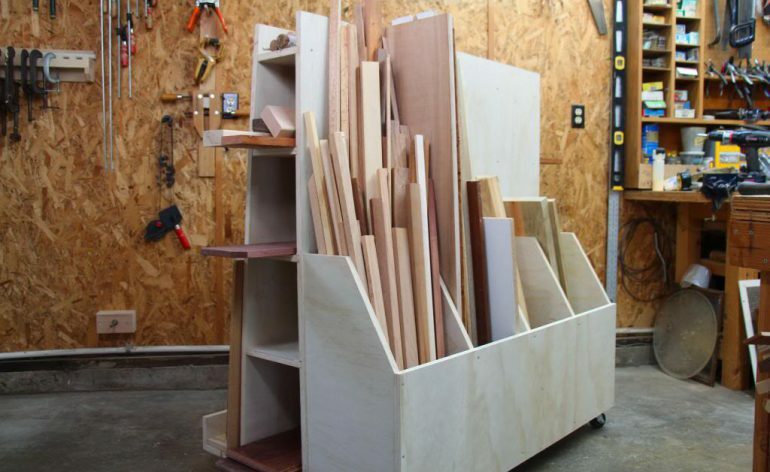 Here is a timber storage cart from Steve Ramsey over at woodworking for mere mortals you can get the plans for this project here Make a rolling lumber cart. This sort of thing would suit a lot of people. 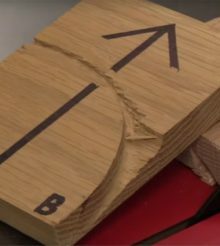 one side can be used to store off cuts of sheet materials, the other is sectioned off and used to store smaller pieces of timber vertically. Steve has made great use of the space by having shelves in the middle to store additional timber horizontally. This combined with a set of heavy duty casters makes for a brilliant timber storage solution. Similar to Steve’s mobile cart, this lumber cart (Photo Credit: manditremayne.blogspot.co.uk) makes great use of place and is useful for storing a wide range of timber materials. The increased side means it can handle full size sheet materials. this is a great solution if you find you need to store a lot of sheet materials (Photo Credit: www.americawoodworker.com) If this was something that I wanted to do, I would combine it with something like this. making it easier to get the sheets in and out. If you have the workshop height and floor space then Lumber Jocks user WoodScraps has a very cool way of storing a lot of sheet materials. The way it is partitioned gives you a lot of options to store different sized sheets. Here is the storage solution form Lumber Jocks user mziem The sheet material storage is hinged on one side and swings back giving him access to smaller off cuts. mziem has made even better use of the space by putting horizontal shelving above the sheet materials. Here is an incredibly simple way of storing boards vertically from user wilburpan on the Woodtalk Forum. It consists of a simple 2×4 platform covered in ply. wooden strips are added to stop the timber sliding. Lengths of galvanised iron pipes are fitted to the wall to separate the sections. Simple and effective. 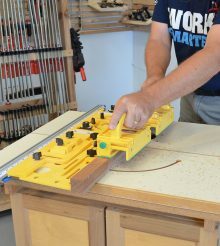 I really like this solution from the Kreg website for storing small offcuts above a miter saw station. 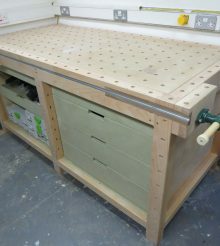 Here is a great post from Dan’s Woodshop where he showcases his brilliant lumber storage solution. It’s heavy duty and can accommodate 8′ long lumber. I really like this small rolling lumber cart from Gary Weeks. Lots of individual compartments to organise small pieces of timber. I hope this article has been useful to you. If you have or have seen a timber storage solution that you would like to include. please drop me a message and I’ll see if I can get it added.